It’s harder and harder to find well-made, well-priced clothes these days. Everything is either cheap crap from fast fashion brands, or uber-expensive designer pieces that cost an arm and a leg. The Business of Fashion reported a while ago that the price of top-end clothes have grown more than twice the rate of inflation in the last ten years. As Pete said, things that weren’t affordable to you before aren’t getting any more affordable. With some smart shopping, however, you can still build a nice wardrobe on a reasonable budget. Yesterday, we covered a half dozen outerwear styles that you can buy either new or used. Today, we’ll cover some labels – some known for specific pieces; others that are just always worth a look for their new seasonal offerings. 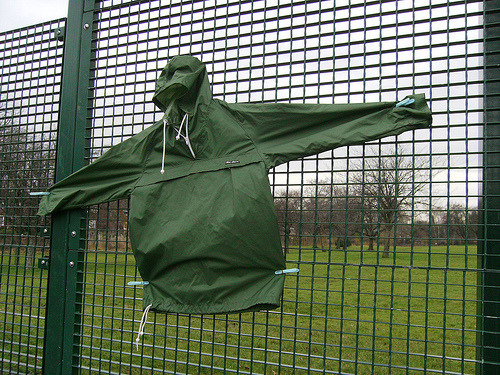 Peter Storm: A British streetwear classic, Peter Storm’s packable cagoules were popular among British youths and football fans in the 1970s and ‘80s. The company recently re-released their made-in-UK jackets for heritage fans, although you can also get them cheaper if you go mainline. Pair them with sneakers, slim jeans, and a British accent. For something similar, check Jump the Gun’s smock. 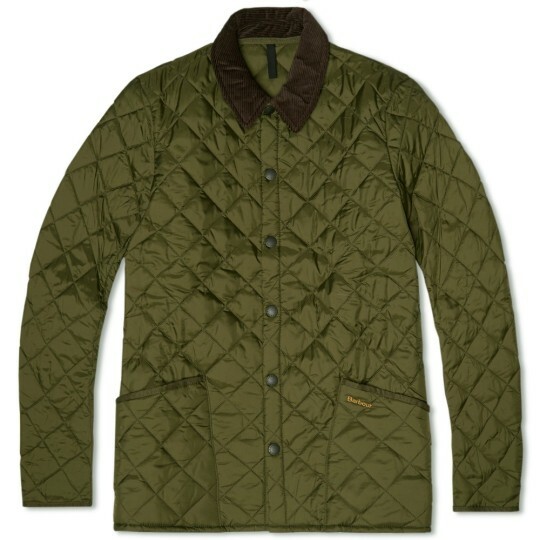 Quilted Barbours: Barbour’s waxed cotton jackets can cost a pretty penny, but luckily, their quilted models are nicely affordable. Wear them on a cool day or when it’s just lightly raining. I like the Liddesdale, but for a shorter fit, try the Chelsea. Note, some people recommend sizing down for a slimmer fit, but you can also try the Heritage edition of the Liddesdale for something that’s already trim. 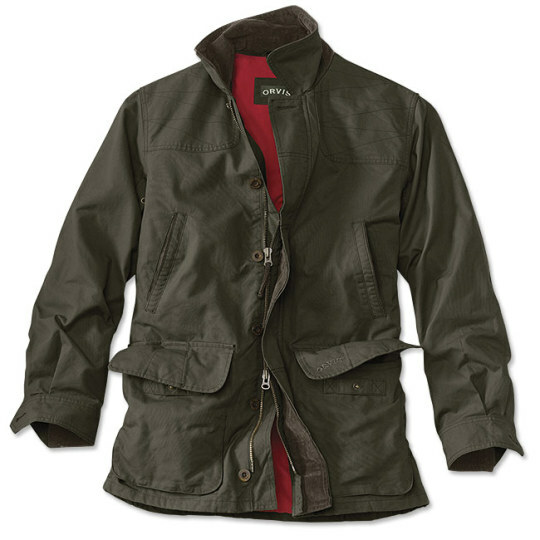 LL Bean: This famous Freeport, Maine company is great for lightweight rain jackets and heavy barn coats. 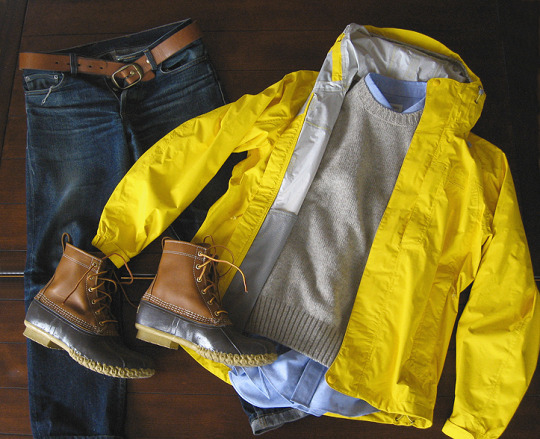 Pair them with jeans, Shetland sweaters, oxford cloth button-downs, and Bean boots for a classic New England look. Again, since these run big, you may want to size down. LL Bean’s Signature line also used to sell slimmer-fitting barn coats, which you may be able to find on eBay. Orvis: Another classic American outfitter. Come here for conservative styles, such as barn coats and water-repellant Harringtons. They also often hold sales. 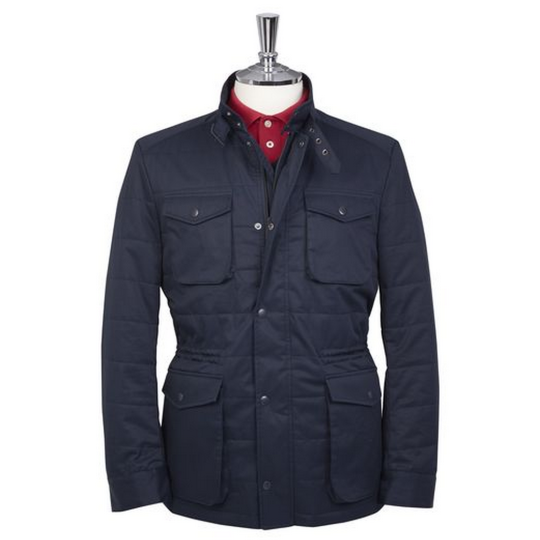 This Upland coat, for example, is available right now for just under two bills. Good for wear with raw jeans, heavy leather boots, and flannel shirts for a kind of outdoorsy, Americana heritage look (or for actual hunting). Just note, for city use, you’ll probably want to size down. Norse Projects: This Danish label is great for simple casualwear items (think simple knits and basic sweatshirts). I like them most for their raingear, such as these three styles for rubber raincoats (one of which is exactly $200; the other two hover near). 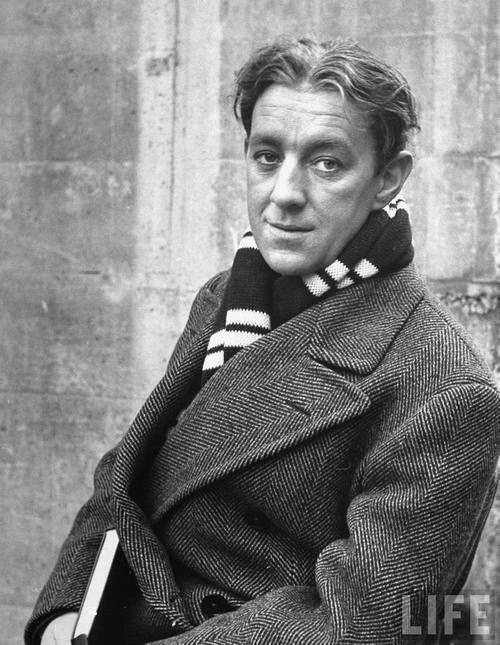 For something similar, try searching around for Stutterheim. 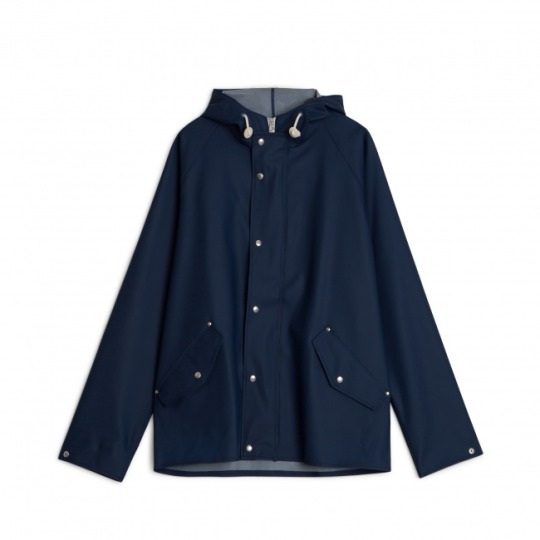 Their raincoats can sometimes be found on sale for about $200-250. TM Lewin: One of England’s oldest shirtmakers. The company is famous for its dress shirts and striped school ties, but they’re also a good source for affordable outerwear. 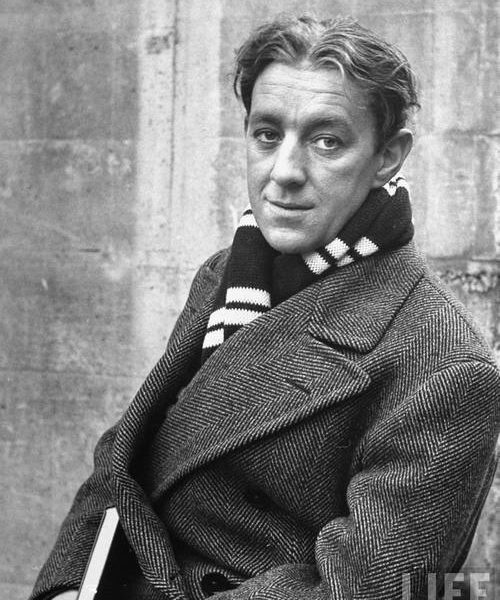 Styles sometimes change from year to year, but they almost always have raincoats, field jackets, and quilted coats. Styling leans on the conservative side. Good for guys who wear suits during the week and want something for the weekend. 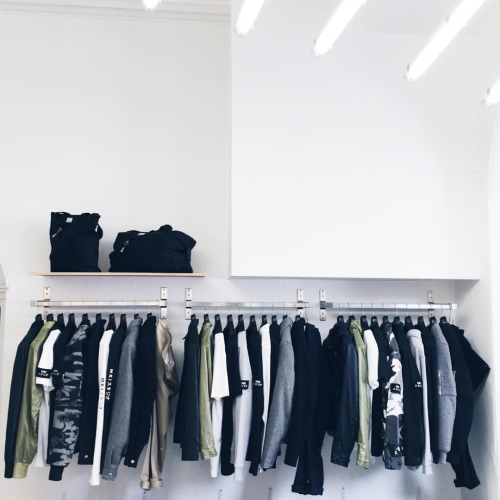 MKI Miyuki-Zoku: For the kind of modernist streetwear that’s trendy these days (think: black MA-1 bombers and heavy dress coats designed to be worn with jeans and sneakers), check out the in-house label from this Japanese-inspired, British-based shop. They have things such as ripstop overshirts and nylon utility jackets for about $100 to $200. Find them at End, Hypebeast, and their own online shop. Always Worth a Look: Brooks Brothers, Ralph Lauren, Club Monaco, and J. Crew are always worth a look. Their outerwear prices are a bit high, but you can almost always rely on a 25%-off discount at some point (maybe even more, if you’re willing to wait until the end of the season). 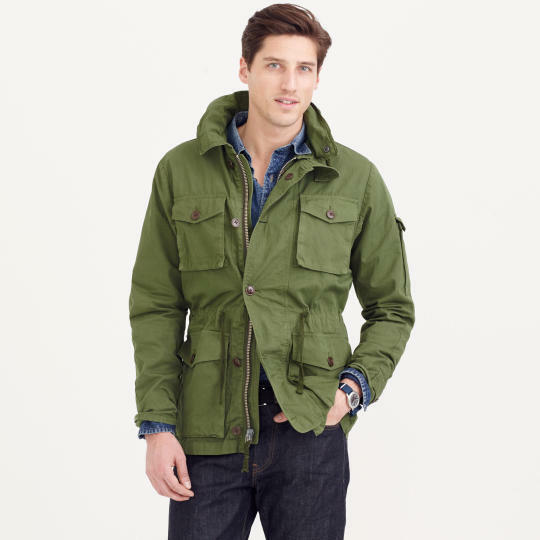 Styles change from year to year, but for this fall, I like J. Crew’s field jacket and Ralph Lauren’s “trekking” parka. Lands’ End also recently hired Ian Velardi to design their menswear line. This camel colored, double-breasted coat is selling for $300, but will most likely go on sale at some point.